Lava‘s latest android smartphone with 1.2GHz Quad core processor, the Iris 506Q is now available for sale from online retailer. 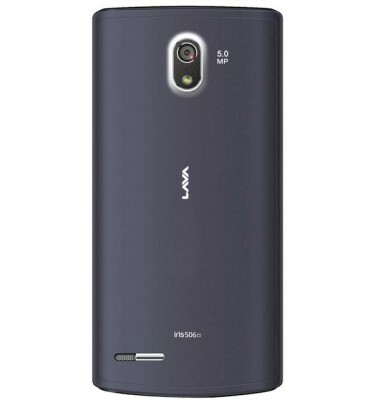 also the Lava Iris 505. Well, don’t think it is the upgraded version of Iris 504Q, because the 504Q has better specifications and features then the 506Q. The specs of the phone might impress you if you are beginner to android smartphone. But it makes despondent to those who has already tasted the Android operating system. The handset look stylish and its premium design can easily impress anyone at first look. At the top of the phone there is earpiece below that it has 5″ qHD resolution touch screen display. At the bottom front it has 3 touch sensitive button to make the handset more approachable. At the back of the iris 504Q it has 5-megapixel AF primary camera integrated with LED Flash and 0.3 megapixel front facing camera. Loudspeaker grill is located on the rear bottom- left. It comes powered by 1.2GHZ quad core processor paired with 512MB of RAM. It offers Dual SIM access with Dual standby. Android 4.2 Jelly bean operating system makes the mobile hardware run. It features 3G, Wi-Fi, Bluetooth, GPS, Fm Radio and Micro USB port connectivity. The internal memory is of 4GB (ROM) and further, user can Expand the storage via Micro-SD card up to 32GB . There is 2000 mAh battery to power the Lava Iris 504Q that claims 5hours of talk time on 3G network and 4hours on 3G network. It is 8.9mm thick and it also has Gesture Motion Feature. Gesture motion features can be seen on several android smartphones Like Micromax A210 canvas 4 and Canvas Doodle 2. The company will soon launch a new flagship Smartphone in the Pro series. 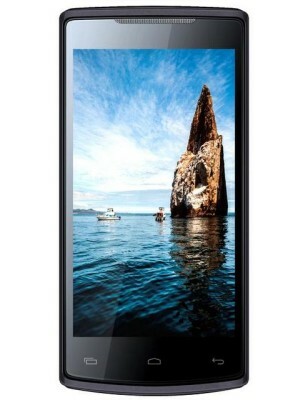 The Lava Iris 506Q comes in Black color and it is priced at RS 11,700. You can buy the handset from Snapdeal.